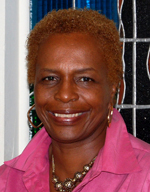 Alice Butler Collins is a writer, storyteller, workshop facilitator, educator, and mother. She spent thirty-seven years working as an educator in Chicago public schools. She held positions as a teacher, supervisor, administrator, principal, due process coordinator, and as liaison to the Office for Civil Rights. She enjoys travel, reading, theater, and sports. Writing enables her to share her passion for the power of the written and oral word with a diverse audience.